When I look outside my window or drive down Ohio Street, Central Park Avenue, Chicago Avenue, or Madison Street, I see construction. Buses delayed because of drills digging into the concrete of a repavement project. Two-flats, once brimming with Black faces, bulldozed in the aftermath of evictions and foreclosures forcing families out. Every day, I watch men in steel-toe boots and reflective safety vests slowly fill vacant lots with modern apartment buildings, and replace rundown stripmalls with attractive storefronts and big-name grocery stores. I think to myself: “They’re finally fixing up the city. Great!” Why would a 16-year-old girl think otherwise? But in the midst of this construction, new faces started popping up. These faces didn’t look like mine. These faces were reminiscent of the types of people I saw in predominantly white suburbs like Arlington Heights or Glendale Heights. I then started paying closer attention to the details. That new grocery store built on Madison Street and Western Avenue, Pete’s Fresh Market, is too expensive for anyone from my neighborhood to afford. New amenities, such as Johnny’s IceHouse West on Madison Street, isn’t a thing Black people gravitated toward. Those repaved roads have bike lanes now, but the people in my neighborhood don’t use bikes as their sole mode of transportation. None of these changes seemed appropriate for the community I lived in. These changes, along with the new influx of white people who I never imagined would live next to me, opened my eyes to reality. My mom knew what was going on. “The white people are taking over,” she would say. “They finna get rid of all the niggas.” She recognized this gentrification three years ago. She wasn’t too far removed from the years of white flight, when large numbers of white people left Chicago for its secluded suburbs in the 1950s. These people watched Chicago, and the Black people left behind, starve to death as money and jobs and opportunities were sucked out of the city. Now Chicago, a city that attracts millions of dollars in tourism annually, is drenched in blood and despair. These white people want “their” city back. The American Dream of a nuclear family living in a suburban house with a white picket fence is no longer desirable. Black people were brainwashed into believing that moving out of the city is a true sign of success – but, that’s only handing over prime real estate to outsiders. Let’s stop chasing an old dream. 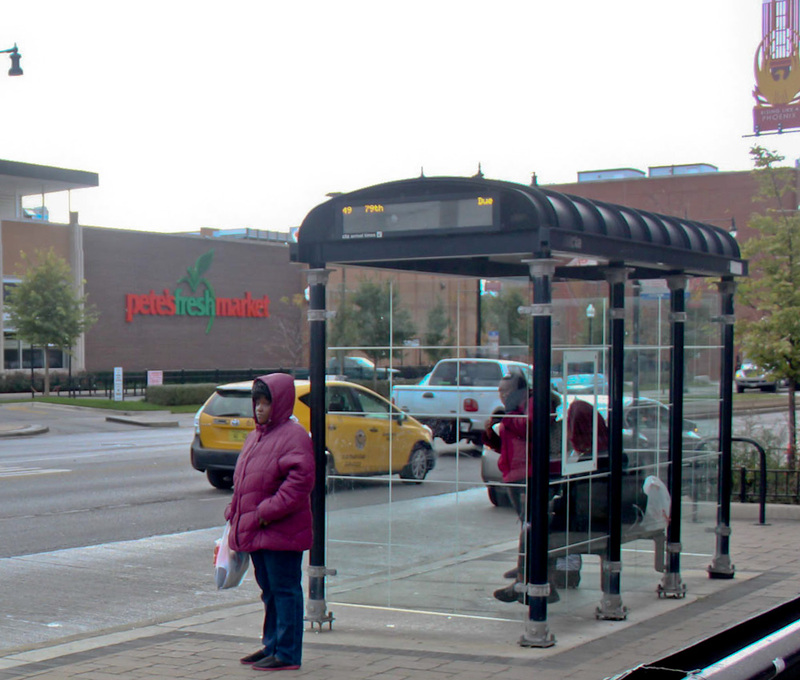 As Black Chicagoans, we can’t tolerate the gentrification of our home. Chicago is not a place that can be deemed worthless whenever our oppressor says so. This is our home and we must protect it. The 1960s and 70s were times when black wealth was at it’s highest. We, as black people, worked together and poured money back into our own community. By the 80s, the government began to systematically divide us and destroy our communities. If we continue on this path we will destroy ourselves before we even realize it. Let’s start more Black-owned businesses, and spend our dollars there to ensure that our businesses don’t sink. Let’s buy more houses and apartment buildings, and rent those spaces to Black families to ensure our existence in our neighborhoods. By chasing an impossible American Dream, which wasn’t created for us in the first place, we’re only ensuring our demise as a Black people. We have to see the value of what’s in front of us and stop chasing the dreams our oppressors are trying to force upon us. Let’s cultivate and build our own dreams.